Kennedy Space Center will remain closed on Friday, Sept. 15. The center’s damage assessment and recovery team has completed a 90 percent review of the center and continues to recover key systems throughout Kennedy. Based on the initial analysis provided by the Patrick Air Force Base 45th Space Wing Weather Squadron, wind speeds at the center varied from 67-94 mph (59-82 knots) at the 54-foot level to 90-116 mph (79-101 knots) at the 458-foot level during the storm. The center currently is without potable water service, which is used for drinking, food preparation and cleaning. The center and surrounding community remain under a boil water restriction. The center’s chillers rely on industrial water and are unaffected by the water restriction. The center will re-open following restoration of full water service. After a month of growing plants in the Advanced Plant Habitat Flight Unit No. 1, the chamber was opened and half of the yield was harvested by Kennedy Space Center payload engineers and scientists. The Arabidopsis thaliana seeds that were grown during the test are small flowering plants related to cabbage and mustard that have a short lifecycle and small genome, making it an ideal plant model for research. The harvest involved measuring pigment molecules of some of the plants with an instrument called a FluorPen, which will give the principal investigators empirical data on the health of the plants. Following those measurements, the stems and the rosettes (circular arrangement of leaves) of the plants were harvested separately, placed inside a foil packet, and then placed inside a MiniCold Bag that quickly freezes the plants. The plants will be shipped to a team at Washington State University who will examine the plants, with the goal to comprehensively understand how these plants adapt to spaceflight during the PH-01 experiment on the International Space Station later this year. The Advanced Plant Habitat was sent to the space station in two shipments on the Orbital ATK OA-7 and SpaceX CRS-11 resupply missions. The Advanced Plant Habitat will be set up on the space station this fall and is an enclosed, closed-loop system with an environmentally controlled chamber. The habitat will use red, blue, green and broad-spectrum white LED lights and have 180 sensors to relay information back to the team at Kennedy. 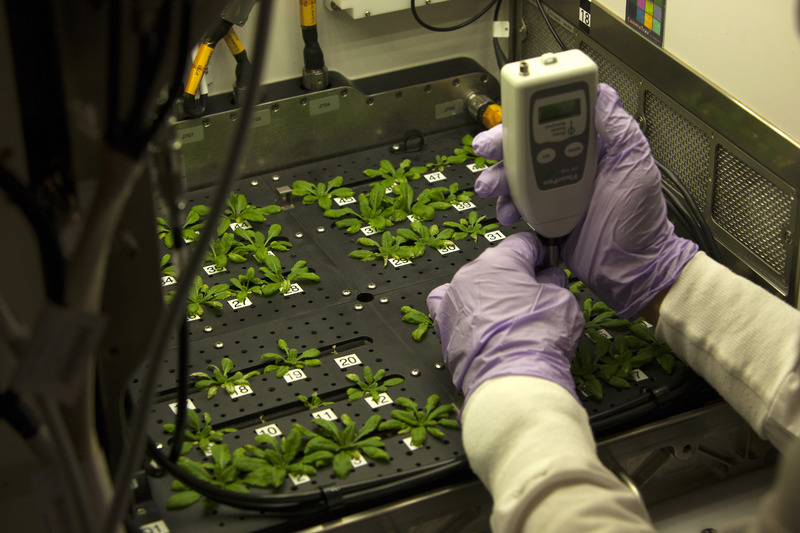 Support and funding for the Advanced Plant Habitat are provided by the Space Life and Physical Sciences Research and Applications Division. The Advanced Plant Habitat Flight Unit No. 1 that will be used for ground testing the agency’s newest plant habitat arrived at Kennedy Space Center on July 17. Over the past couple of weeks, the unit has undergone numerous inspections and checkout procedures and is now undergoing an Experiment Verification Test. 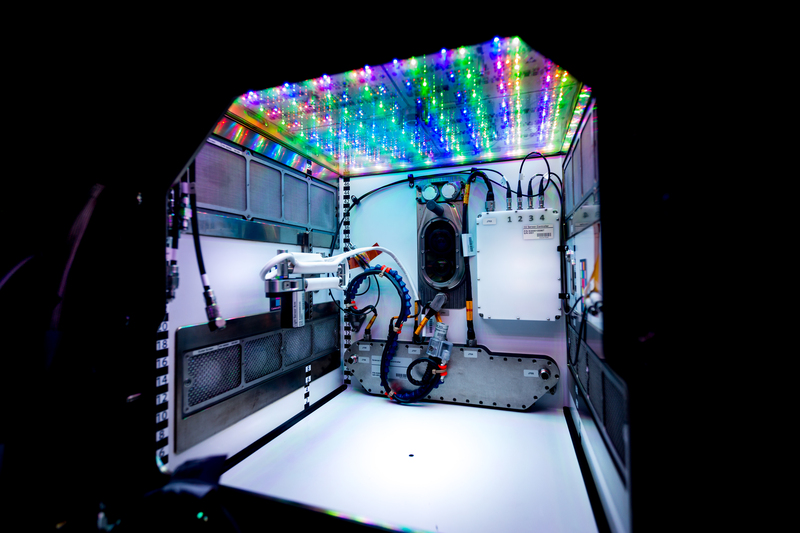 This test, started on July 27, will allow the ground team at Kennedy to run through the procedures of the future Plant Habitat 01 Mission, or PH-01, that will grow aboard the International Space Station later this year. Both the test and the actual mission will grow Arabidopsis seeds, which are small flowering plants related to cabbage and mustard. The Advanced Plant Habitat was sent to the space station in two shipments on the Orbital ATK OA-7 and SpaceX CRS-11 resupply missions. Once it is set up, it will be a fully automated facility that will be used to conduct plant bioscience research. The Advanced Plant Habitat is an enclosed, closed-loop system with an environmentally controlled chamber. The habitat will use red, blue, green and broad-spectrum white LED lights and have 180 sensors to relay information back to the team at Kennedy. The habitat is scheduled to be activated aboard the orbiting laboratory this fall, with PH-01 beginning in late October. 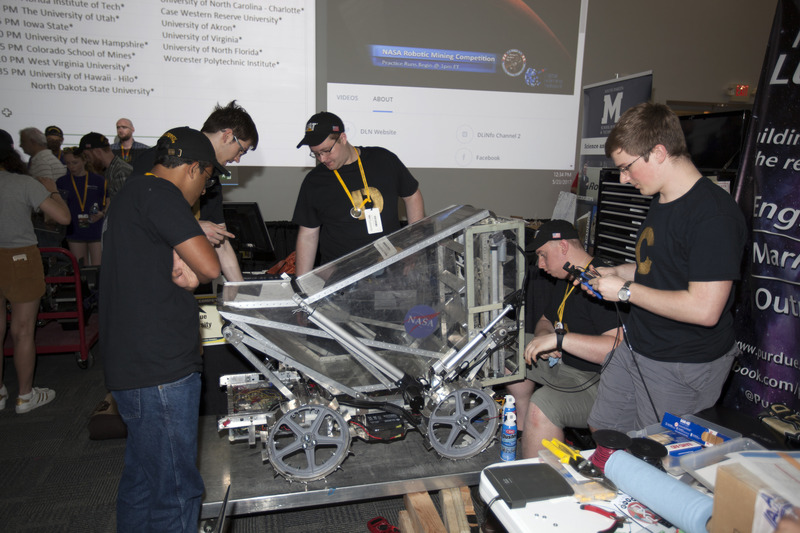 The eighth annual NASA Robotic Mining Competition wrapped up Friday. Teams of undergraduate and graduate students from more than 40 colleges and universities across the nation showed off their excavating prowess during the three-day competition, May 24-26. The teams had to design and build either remote-controlled or autonomous excavator robots that traversed a simulated Martian terrain, scoop up the dirt and return it to a hopper within 10 minutes. The competition is a NASA Human Exploration and Operations Mission Directorate project designed to engage and retain students in science, technology, engineering and math or STEM fields by expanding opportunities for student research and design. 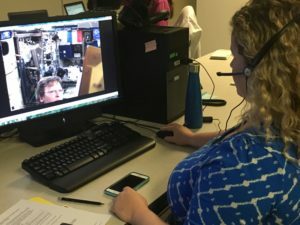 The project provides a competitive environment to foster innovative ideas and solutions that could potentially be used on NASA’s journey to Mars. After setting a couple of large fires in space, it’s almost time to send the third Spacecraft Fire Experiment, or Saffire, to the International Space Station. Saffire-III was recently integrated into the Cygnus spacecraft in Kennedy Space Center’s Space Station Processing Facility in Florida. The experiment will fly to the station aboard Orbital ATK’s seventh commercial resupply services mission to the space station. But it will have to wait until this summer to do its work. In June, the trash-filled Cygnus resupply vehicle departs the station with Saffire onboard and re-enters the Earth’s atmosphere, and that’s when a fire is lit — providing a unique environment for studying fires in microgravity. 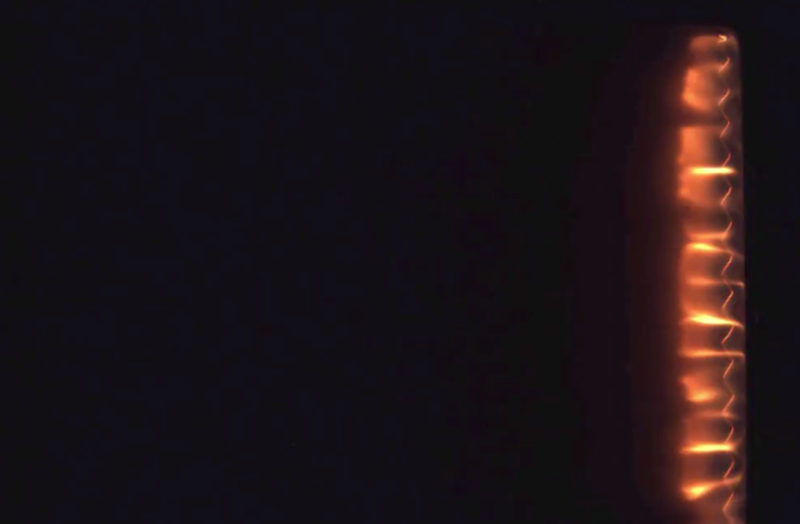 The experiment lasts about two-and-a-half hours, of which 20 minutes is the actual burn. The flame will grow across a panel measuring .4 meters wide by 1 meter long. The oxygen concentration in the vehicle is nearly 21 percent by volume — the same as in the space station when the hatch is closed. The ignition is controlled from a ground station that will activate a hot wire along the upstream edge. Saffires I and II successfully flew and operated on Orbital ATK’s fifth and sixth contracted resupply missions respectively. The next generation of Saffire experiments are being designed now to fly starting in 2019. These experiments will advance capabilities for flammability tests and provide a testbed for the technology development of devices that detect gases and particulates from a fire, as well as scrub the atmosphere after a fire so it is safe for the crew to re-enter. Understanding how to detect fires, how they spread, and how to clean up after them, is vital for ensuring crew safety and preventing fires in space. Astronaut Peggy Whitson will initiate the next round of crops to be grown aboard the International Space Station today. 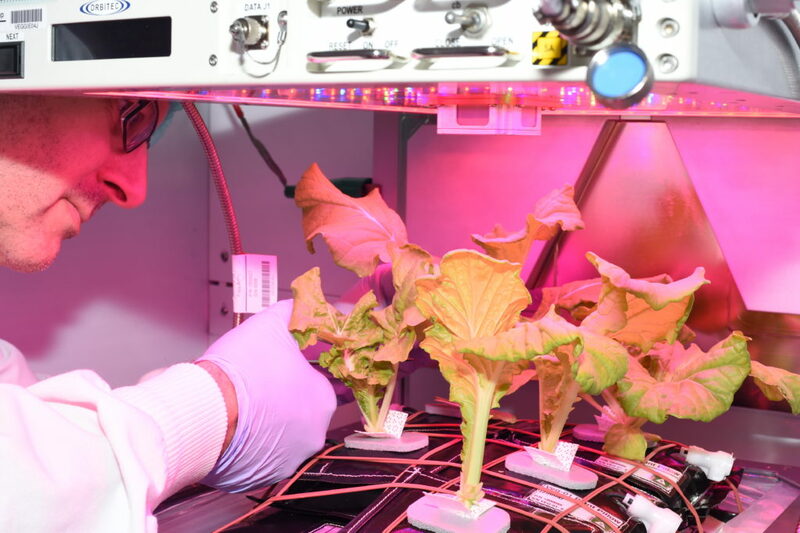 For the first time, a Chinese cabbage variety named Tokyo Bekana will be grown in space. The cabbage was chosen as a good candidate because it is a quick growing leafy green that is rated highly from a nutritional and taste perspective. Whitson will act as the on-orbit gardener, tending to the cabbage for about a month. How do astronauts aboard the International Space Station get fresh oxygen for spacewalks and everyday use in the orbiting laboratory? After the space shuttle retired, NASA designed the Nitrogen Oxygen Recharge System, or NORS. Once onboard, the tanks are used to fill the oxygen and nitrogen tanks that supply the needed gases to the station’s airlock for spacewalks. They are also used as a secondary method to replenish the atmosphere inside of the space station. The tanks are fully reusable once they have been inspected after returning from space. Earlier this week, the first flight-returned NORS Recharge Tank Assembly was depressurized at Kennedy. This particular NORS tank was returned on the SpaceX CRS-9 flight after spending almost a year on station. There are currently four more tanks aboard the station that are scheduled to come down soon so they may be reused in the future. 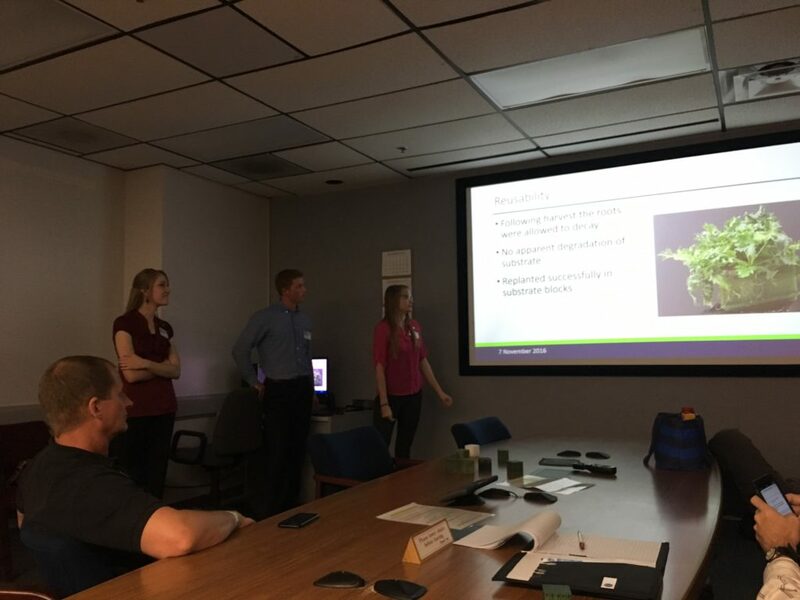 Students from Utah State University presented Eden, a plant chamber that could be operated autonomously during long-term spaceflight missions, while visiting Kennedy Space Center Nov. 7. This project is part of NASA’s eXploration Systems and Habitation (X-Hab) Academic Innovation Challenge series, and also serves as a pathfinder for the type of technol ogy needed for future long duration missions beyond low-Earth orbit. 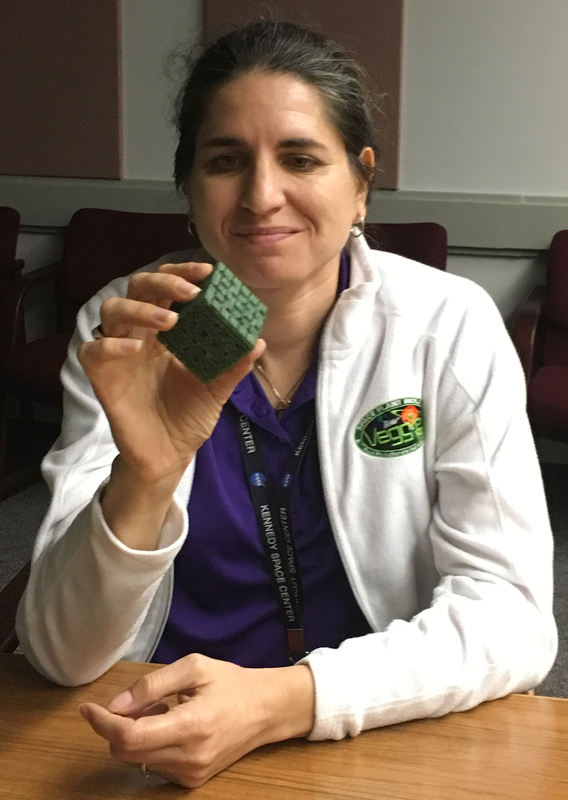 Eden would make use of the 3-D printed substrate to deliver water, oxygen, and nutrients to plant roots in microgravity conditions. Students built an Eden prototype and grew plants in a 30-day test. This type of plant growth system would improve the autonomy of current plant growth systems in use aboard the International Space Station to make them more practical for limited crew time missions.